JahMed is a 501(c)(3) non-profit corporation, that has established working relationships with local public safety agencies in the areas it services, working collaboratively at local events to provide mutual medical support to patrons and staff. JahMed originated in 1996 at the Reggae on the River music festival at French’s Camp in Humboldt County, California. It was created by founding members David Moss and Patte Rae, along with a group of dedicated volunteers, to serve the medical needs of local community events. This original vision led to the development in 2011 of JahMed as a State recognized 501(c)(3) non-profit corporation. JahMed’s divisional structure includes nursing, psych, self-care, responder, medical, and support divisions. 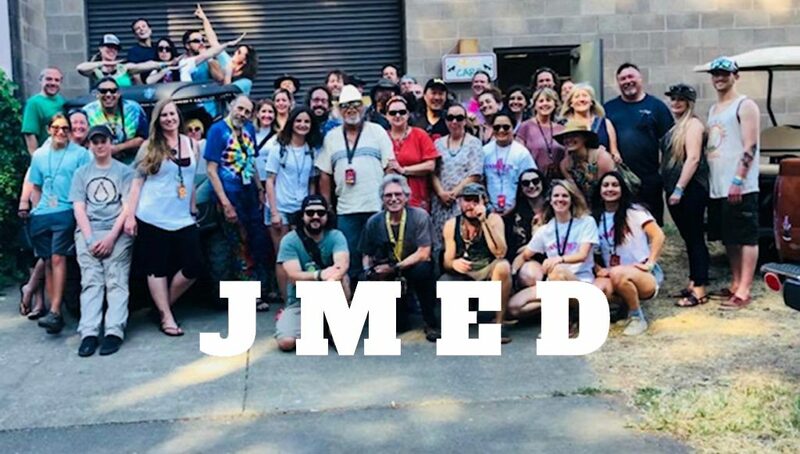 Many of JahMed’s members have served, over the years, in more than one division, and all work together seamlessly to care for festival patrons. JahMed’s largest festival of the year has traditionally been Reggae on the River. They also provide medical care at The Sierra Nevada World Music Festival in Boonville, and the Redwood Run in Mendocino County. JahMed’s non-festival work includes many one-day events in and around Humboldt County (the home base for the majority of our volunteers). The current and founding leaders of all JahMed’s divisions have decades of experience in event and crisis medicine, as well as seasoned first responders, intensive and critical care nurses, practicing acute care physicians, and visionary self-care providers who have expanded the scope of our services to provide preventive hearing protection for infants and children through grants and intense personal perseverance. JahMed takes pride in what they do. They do incredible work and have great fun doing it. JahMed is a tight knit family that welcomes the addition of like-minded care providers of all stripes.